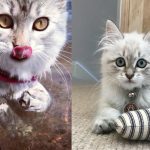 So you’ve got a new Siberian kitten and you are absolutely in love with the little ball of fur. Your home is now full of fun and laughter, and love. Also cat toys and some fur here and there. Also, it seems like there will some interior design changes. That favorite trendy sofa of yours, the centrepiece of your living room interior, is under attack of the little claws? Grandma’s armchair has been scratched too? And while we are talking, your new little love is trying to scratch the leather couch? Don’t panic. (At least, not yet). 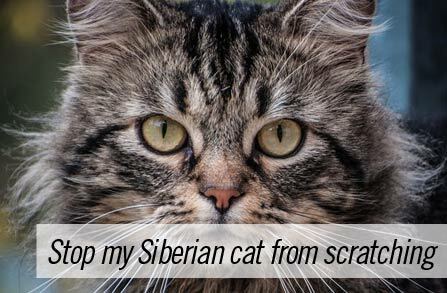 There are things you can do to prevent your Siberian cat from scratching. You are not now doomed to live with damaged furniture forever. Read on. But really, joking aside, they do because it’s their natural behavior. It’s something they do to maintain their constantly growing claws in tip-top shape, such as remove the dying outer layers of the claws. In nature, they use trees to do it. In your house, they will use whatever reminds them of a tree or just has a right shape – your sofa, your couch, your chair, the door, or even your leg. 1. Marking territory. By scratching a cat leaves his cells and smell on the surface for the other cats to deal with. 2. Exercise. When cats scratch, they also stretch and flex their feet, front paws and claws. It’s like a cool exercise for them. 3. Practice, practice, and practice. When cats scratch, they practice their ability to let out and use their claws. It’s a very important ability in the wild, one that lets them fend for themselves and protect themselves. It’s not entirely the most needed ability when the cat lives in your home, but you can’t cancel thousands of years of evolution! 4. Your Siberian cat is bored. Have you not played with your kitty for a while? Do they look uninspired? Scratching makes them feel better so they naturally resort to it. 5. Expression of distress or unhappiness. A cat may resort to scratching when they are unhappy about something, or stressed. If you have just moved, or there is another animal in the house, or you have just sprayed your cat with water, they may express their displeasure in a bout of scratching. 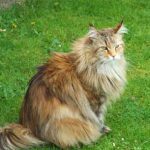 If you notice that your Siberian cat, all of a sudden, began scratching much more than usual, it might be for some of the psychological reasons stated above. See if you can play with them more, pet them and do some other things to mitigate their bad mood. You may notice their scratching diminish. 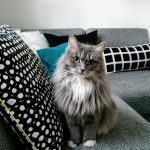 If you already have a cat or kitten, you have probably given a thought to how exactly you are going to protect your furniture. See if you can find some fresh ideas here. If you do have leather or other expensive and easily damaged surfaces, consider using slipcovers for your chairs, armchairs, and sofas. In our house, our cat was very keen on destroying our leather chairs. We got some slipcovers, and now not only our chairs are protected, but they also look better! If you have wallpaper in your house – it might be your cat’s favorite target for scratching. Think of taking that down and using paint instead. No fun in scratching paint for cats! 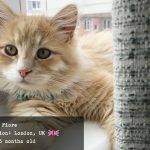 Scratch posts – redirect the attack! 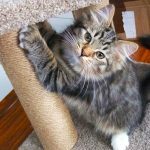 One of the best ways to mitigate your cat’s destructive behavior and redirect the attack from your furniture is to provide your kitty with a nice scratch post or two. Or even three. Really, the more posts you have around the house, the more chances you have that the cat will choose those instead of your sofa. Click here to find out how to teach your cat to use the scratching post. Another good solution is getting a cat tree for your Siberian cat, the bigger the better. Cat trees always have scratch-able surfaces as part of their design. Your cat will most likely be interested in using the cat tree as it will provide them with an opportunity to climb higher and explore. Cats love that. A good cat tree will cost you somewhere from $150 and more, but it might really be worth it! For one, it will give a platform for your cat to do its cat things, such as climbing, jumping, napping on the high surface, hiding in little caves that are usually a part of the cat tree, etc. That’s a lot of fun for your cat, and a place to de-stress and energise while playing. That by itself may mitigate their destructive behavior. Less stress = less desire to scratch destructively = less damage to your furniture. Apart from the psychological reasons, a cat tree will also provide your cat with multiple scratching surfaces, and since your cat will spend lots of time on the tree, they might also take to doing most of their scratching there too, which spares your furniture! That would be great, won’t it? So, invest in some scratch posts and/or a good cat tree, and see if that helps solve your cat’s scratching problem. Another great way to save your furniture is to start trimming your cat’s claws. Simply clipping the very tips of the claws with a trimmer or clipper will massively decrease your cat’s desire to scratch. Also, even if they do try to scratch, they will make way less damage as their claws really won’t be very sharp. You can read more on how to trim your cat’s claws correctly and without hurting your cat here. You can also use nail caps. Those are little vinyl caps you can glue onto your cat’s claws which makes them completely dull. I have not tried this with my cat. Some people do it successfully, some people say their cats don’t take those well. 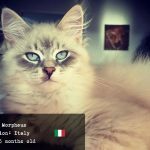 Never declaw your cat! Please never do. 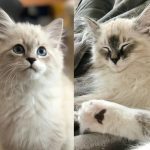 Declawing your cat has nothing in common with just trimming their nails. It’s not a manicure. 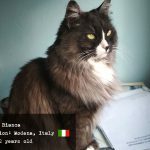 It’s a cruel, dangerous and extremely painful procedure that has absolutely no benefit for the cat but brings lots of harm. Yes, your furniture will stay safe forever, but your cat will be mutilated forever. Don’t do this. 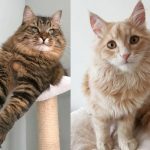 Learn more about what declawing really is here in this article: Declawing your cat – please be humane and don’t. Another way to discourage your cat’s scratching of your furniture is to use a special anti-scratch spray. You can get those at a pet store or on Amazon. This method works by spraying your furniture with a substance that has an extremely unattractive smell for a cat and thus keeps the cat away from the sprayed surface. I cannot fully recommend this method at this point. Our cat didn’t mind the spray we got at all and kept happily scratching the surface, whereas it did stink pretty offensive to us, people. We might have gotten an ineffective spray, perhaps another brand would have been better, but I am not sure at this point. I will update this article if anything changes. You can also use tin foil as a cat deterrent. Stick a stripe of foil to the surface where your cat tends to scratch a lot. Cats don’t like surfaces like foil, it will be unpleasant for the claws and might help keep your kitty away from the said surface. 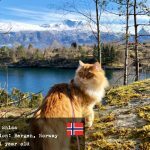 Train your Siberian cat not to scratch. All pets need to be taught and trained to behave well within your house and to follow your rules. Some things are easier to teach than others. Teaching a cat not to scratch is a hard task because it’s a deeply wired natural behavior. If you punish or yell at your cat for scratching, they will not be able to understand what they did wrong and why. You can still try and it might bring some results. I am just saying it’s not easy. Here are some rules for training your cat not to scratch. 1. 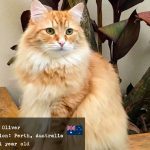 Never physically punish your Siberian cat. Do not slap them or hit them or kick them, please. Ever. It will not help. It may actually make matters worse. Your cat will panic. It won’t connect what he was doing with you hitting them. It will just think you are dangerous and may strike at any moment. This might seriously erode your cat’s trust towards you and damage your relationship. It may also cause psychological issues in your cat. If your cat feels uncomfortable, scared, insecure, it may actually worsen neurotic or protective behavior, and your cat might not only start scratching more but also marking its territory. It’s very hard to earn the trust of a cat and it’s even harder to earn it back after damaging it. You don’t want that. Cats can also have very good memories when it comes to people hurting them. Your cat might hold a grudge against you for a very long time, and strike back when you don’t expect it. They might also be particularly aggressive towards your belongings and possessions when you are away from the house. Cats hate water and getting wet. Get a spray bottle, fill it with water, and use it whenever your cat does something you don’t want them to do. If you spray them at the right moment, they will associate the deed with the unpleasant feeling of getting sprayed. Next time they will think twice before doing whatever they were doing. It’s important to use the spray immediately when you catch your pet at the moment of crime. Not after! Otherwise the cat won’t associate the crime and the punishment. I assume you never yell at your Siberian cat? That’s very good. Cats thrive in calm and peaceful environments. However, you may use your loud voice if they do something wrong. A yell, a clap, any loud noise will get the cat to pay attention to you. Cats don’t like loud noises and will try to avoid any behavior that causes loud noise. If you clap every time they scratch your sofa, they will connect the two things together and likely try to void it next time. 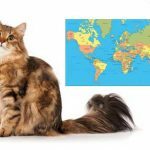 Hope some of these ideas will help you teach your Siberian cat not to scratch the wrong surfaces and save some of your furniture intact! We all want a pet that doesn’t bring any trouble or destroy our home, and that’s entirely understandable. However, your kitty needs some understanding too. Always remember, the cat isn’t trying to annoy you by doing what it’s doing. It simply does what nature tells it, and doesn’t realise it’s actually harming you or your possessions. If some of your furniture is already spoiled, you can at least feel better if you remember that your cat brings you tons of love and hours of entertainment.